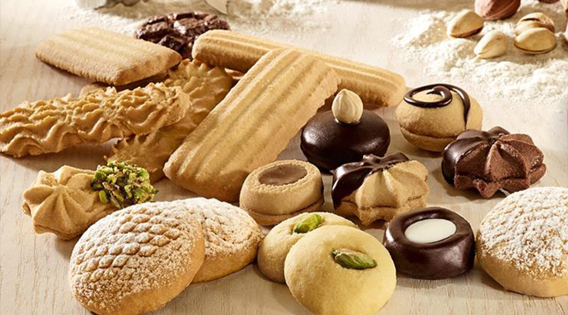 With Eid just around the corner, Cairo’s confectioneries and bakeries are shifting from ‘Ramadan dessert mode’ to ‘kahk mode’. To save you the hassle of sifting through this year’s many options, we’ve brought together including some of the best kahk makers in town, what they offer and for how much. 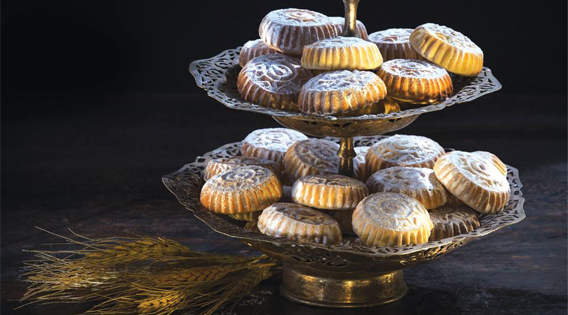 Whether it’s Ramadan desserts or kahk, Abdel Rahim Koueidar excels in keeping it simple. 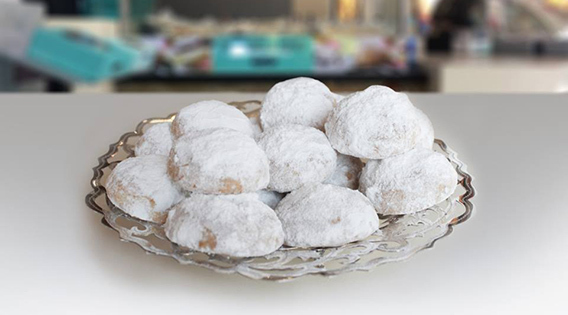 Sticking to basics with the classic range of kahk flavours, a kilo of any of plain, dates or malban kahk costs 90LE. Petit forts come in two flavours, chocolate and vanilla, each for 95LE per kilo and with the same price comes the pistachio ghourayeba. For the full price list, click here. One of the best places to turn to if you are looking for either Halawet El Mouled or kahk, this year’s collection of flavours at El Abd includes plain, malban (Turkish Delight)and Agameya, each for 85LE per kilo. Petit forts range between 90LE to 110LE per kilo according to the flavour. 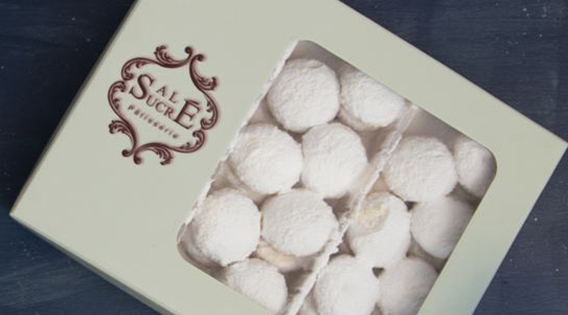 El Abd also has a variety of biscuit flavours at the price of 75LE per kilo; orange, chocolate, coconut and plain. 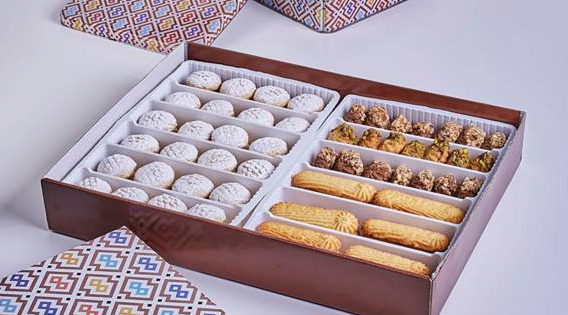 For those who are looking for a kahk gift, mixed boxes are available, ranging between 85LE for a kilo box and up to a hefty 425LE for 4-kilo tin box. 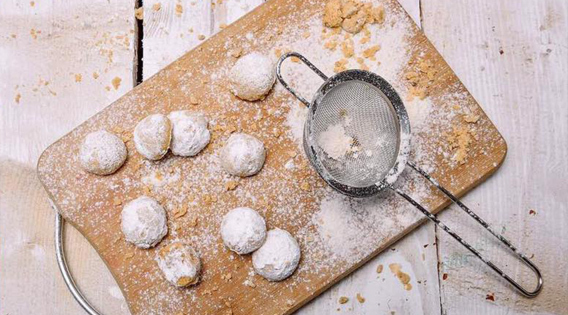 Do you think confectioneries are sparing us a new version of kahk this year? Absolutely not; Dukes presents a variety of coloured kahk that comes in three flavours; chocolate, red velvet and pistachio, which come in a box with the price of 140LE. 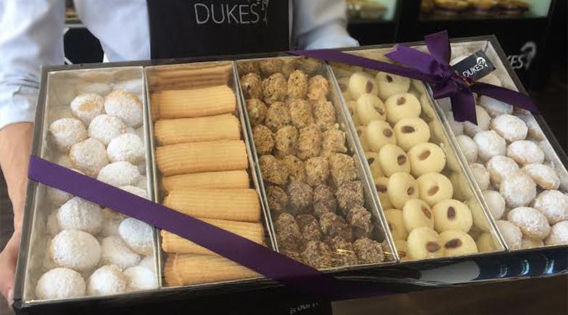 Apart from the trendy creations, Dukes has boxes of walnut and plain kahk for 180LE and 110LE respectively, plain biscuit for 85LE and Ghourayeba for 100LE. Rumour has it that one of the best bakeries in town is baking plain/pecan mini kahks this year, could it be? For now, all we know is that The Four Fat Ladies’ new venture, which, offered in limited quantities, will be in a tin box. Stay tuned for more information. A veteran in the land of sweet treats, Tseppas is offering plain kahk for 96LE per kilo and malban for 94LE, while pistachio kahk costs a rather dear 230LE. A kilo of plain Ghourayeba costs 94LE, while a kilo of the plain biscuits costs 70LE, and other flavours like orange, chocolate and coconut are 76LE per kilo. What’s better than a retro box of kahk from Biscomisr to win your granny’s heart? 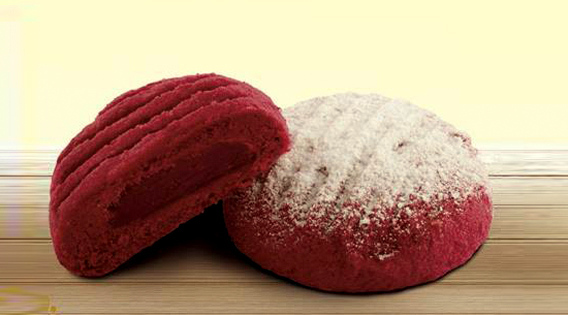 Jokes aside, Egypt’s oldest confectionaries company is going trendy this year with a box Red Velvet kahk that costs only 100LE. But this doesn’t mean that Biscomisr has given up on classics; plain kahk is 85LE, walnut 130LE, agameya or malban 90LE. As for Ghourayeba and petit forts, both come at the same price 90LE. While orange and plain biscuits are for 60LE, oat biscuits are for 70LE. There are also mixed boxes that range between 125 to 225LE. 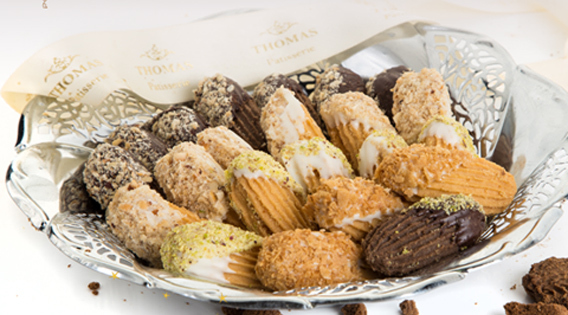 A favourite for many, Thomas Patisserie’s range of kahk includes plain (100LE), walnut (180LE) and pistachio (190LE), in addition to dates and malban, which are 95LE. The bakery also offers vanilla and chocolate petit forts for 125LE, plain biscuit for 90LE and other flavours of the latter, which are orange, coconut, chocolate and cinnamon, each for 110LE. While this is the first year that Cinnabon has joined the Ramadan desserts race with its Ramadan Delights box of, this is the franchise’s second year when it comes to kahk. Cinnabon present four flavours of kahk; plain, agameya and malban, which costs 120LE a kilo, while nuts & agameya kahk is for 145 LE. Boasting the widest range of kahk flavours we’ve encountered so far, Salé Sucré offers plain, malban, dates and agameya kahk for 120LE per kilo, while malban & walnut kahk and agameya & walnut are for 150LE and walnut kahk costs 180LE per kilo. Also, a 750gm box of pistachio ghourayeba costs 140LE, plain biscuit are 90LE per kilo and petit forts range between 110 and 135LE, according to flavour. This year, TBS is giving Cairenes an extra incentive to get their kahk; with every kilo bought, an extra plastic kahk acts as a voucher of sorts, with which you can get for one of many free items from the bakery, including from a cup of coffee, a sandwich, a box of donuts or set of brownies. In terms of the kahk collection, a kilo of plain kahk costs 145LE, nuts kahk is for 180LE, while a two-kilo box including kahk, biscuits and petit forts is sold for 290LE.